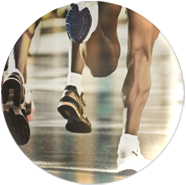 The anterior cruciate ligament (ACL) is an important structure within the knee joint that can be torn when playing sports leading to considerable debilitation. 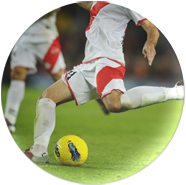 The ACL along with the posterior cruciate ligament (PCL) provide stability to the knee but also proprioceptive feedback. This is the sense whereby an individual is aware of the angle and movement of a joint and is essential for controlled activity. ACL rupture occurs when forces are applied to the knee in a vulnerable position and commonly occur in football, rugby and skiing. An individual will usually be aware of a popping accompanied by pain and swelling. 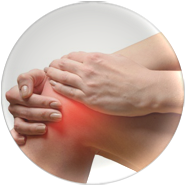 Surprisingly some people are able to function well having torn their ACL even returning to a high level of activity. Unfortunately most will need to undergo surgical reconstruction followed by an intensive rehabilitation programme lasting many months, in order to return to pre injury levels of activity. Dynamic knee braces can provide adequate knee stability for return to sport but they do have their limitations. The good news is that following a regular exercise programme can reduce your risk of sustaining injuries. Known as prehabilitation it is perhaps most important in those whose only exercise is achieved on the ski slopes each year. Prehabilitation provides a series of simple exercises of increasing difficulty focusing on strength, flexibility and proprioception. Programmes can be adapted to the desired activity and ability and are available from personal trainers, physiotherapists or literature. Undertaking a regular prehabilitation programme for a few minutes on a regular basis will reduce injury rates and can improve performance.